Original oil painting with added mixed media. 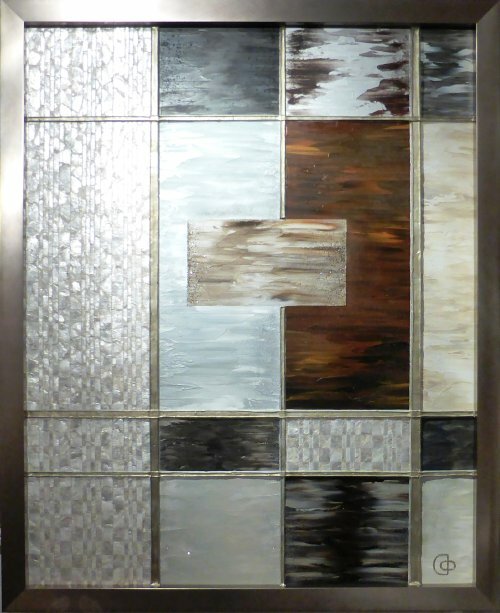 Real mother of pearl panels are incorporated in this work to create an unusual and interesting effect. It is seamlessly blended with the overall warm colours and complemented by the colour of the frame.